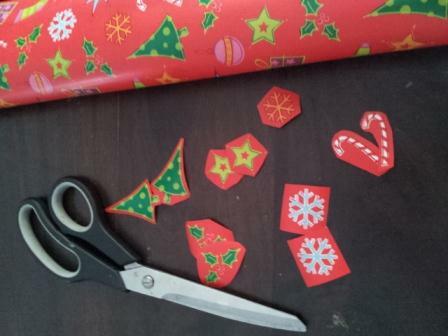 Christmas wrapping paper (recycled is great) Ensure you able to get a number of matching pictures from the wrap. Paper or thin card cut into small rectangles or squares. (must all be of the same size and colour). Scissors. Glue. 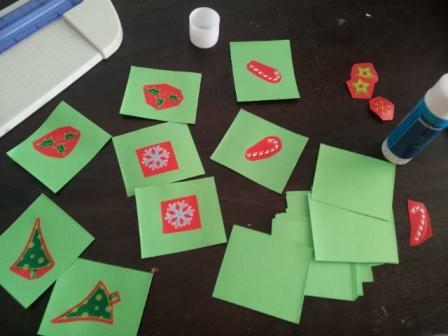 Depending on the age and developmental stage of the children, make the cards as a group or show children how you are going to make your own deck of matching cards, then let them join in to make their own deck of matching cards. 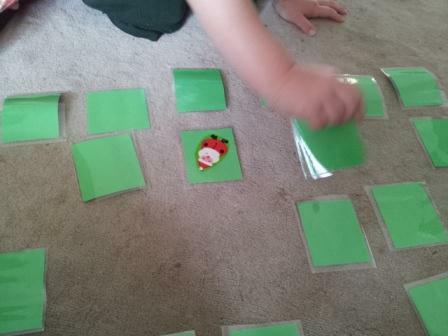 Children need to cut 2 pictures that match exactly and repeat until they have about 20 cards (10 different sets of pictures) or as many as they can. The pictures are then glued on the squares and the laminated for longevity. Show children how to play memory. Play Christmas Snap with the matching deck of cards made. 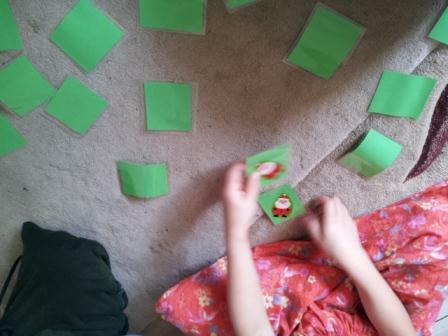 Christmas Matching game. Make a base board of the same pictures you made the original cards from. Children can name and match the pictures. This game can be played individually. Bingo. 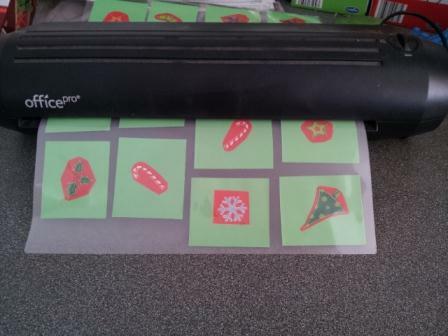 Make at least 4 base boards of pictures from the same wrapping paper, ensuring each base board has slightly different pictures. At least 6 pictures to each board (depending on the children’s age and developmental stage. Bingo. Show children how to play Bingo. Leave playing cards accessible, so children can play these games at any time.